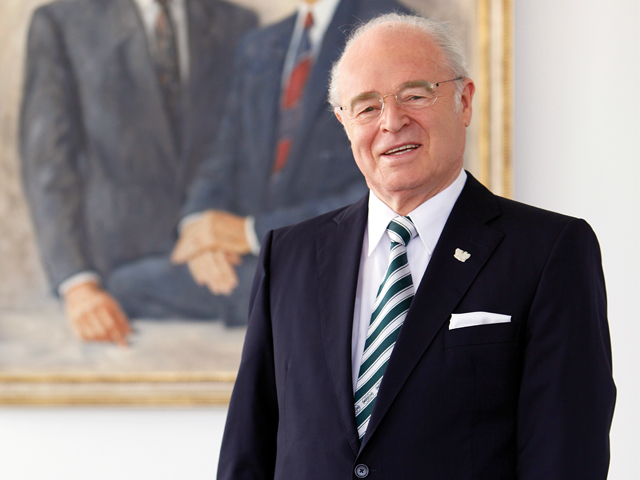 Hans Jürgen Kracht succeeded the founding father of the company in the beginning of August 2010 and has served as CEO for the Woco Group ever since. Dr. Kracht has more than twenty years of experience in the automotive industry. Since the beginning of March 2011, Bernhard Nagl has been supporting him as acting CFO and as a member of the Executive Board. Mr. Nagl also brings more than 20 years of expertise to the table, accrued from various positions in the electronics and automotive industries. Having completed training to become an industrial sales management assistant and following a course of studies in mechanical engineering, Wolf worked a business administration/technical assistant to the Executive Board at Ullrich Gummiwerke AG in Gelnhausen, Germany, until 1956. On August 15, 1956, at the age of 21, he founded “Woco Franz Josef Wolf & Co. Gummi- und Kunststoffwerk”, a rubber and plastics factory, in Bad Soden-Salmünster, Germany. Franz Josef Wolf created a company that, during the next 60 years, evolved from being a small rubber manufacturer to a globally active international corporation. Today, he is responsible for the Industrial Division as General Manager and provides support with his long-standing experience and business relations that have grown over the years.